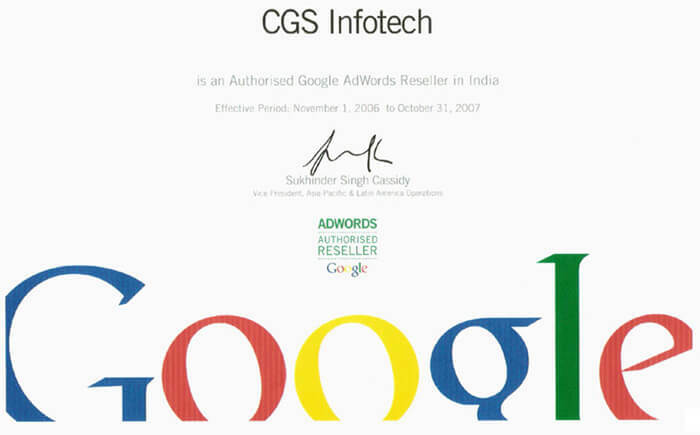 CGS Infotech was selected as FIRST authorized partner of Google in 2007. CGS has proven expertise in Search Engine Optimization (SEO), Digital Marketing and Google/Bing Marketing strategies. We generate over 1 million Annual Website visitors, 100,000 new business leads and an *actual* revenue with client’s credit card numbers amounting to US $ 17 million or INR 100 crore for our clients.